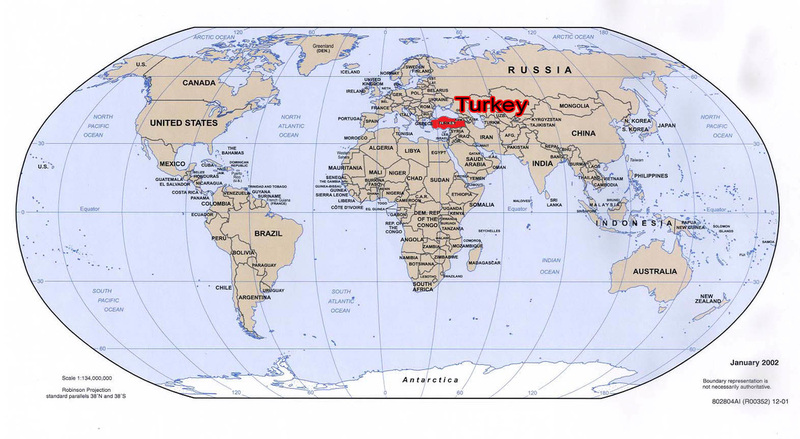 DAY 1: Istanbul is the only city in the world that straddles two continents --one side is in Asia, the other in Europe! 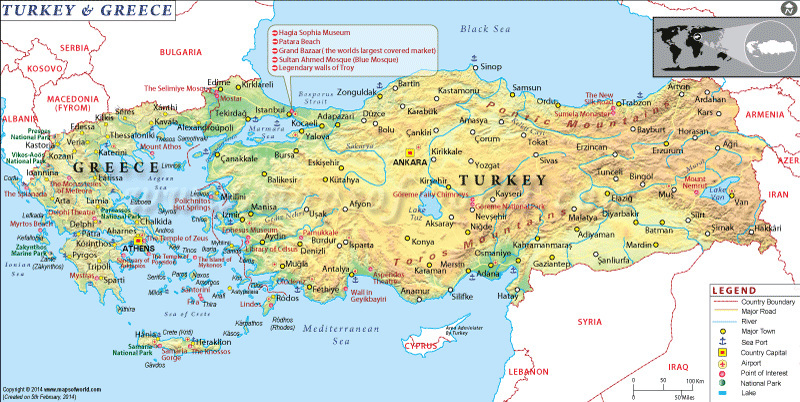 Istanbul, which used to be known as Constantinople thanks to the Roman Emperor Constantine the Great, is built on seven hills to match the seven hills of Rome. Constantine became the first Christian emperor of the Roman Empire. 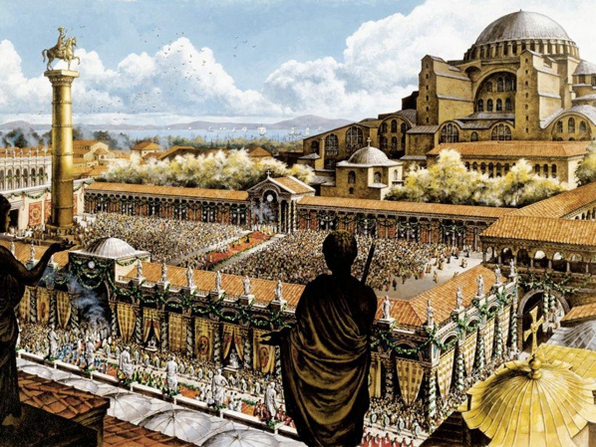 The construction of the city of Constantinople, however, was one of his absolute triumphs and what came to be called the Byzantine Empire was born.. The people followed Christianity and later after the Roman Empire fell, this was the wealthiest nation in the world. It was a center of art, science, and architecture. 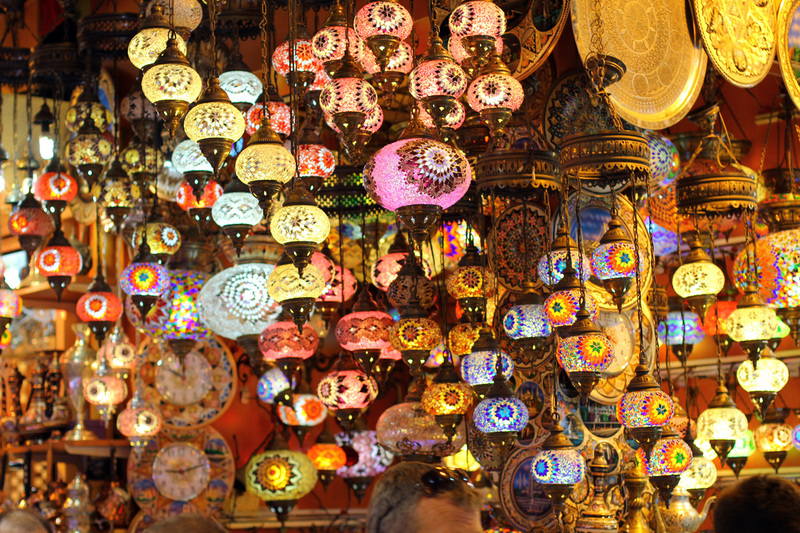 it was during this time that Hagia Sophia was built. We will visit this amazing place tomorrow. 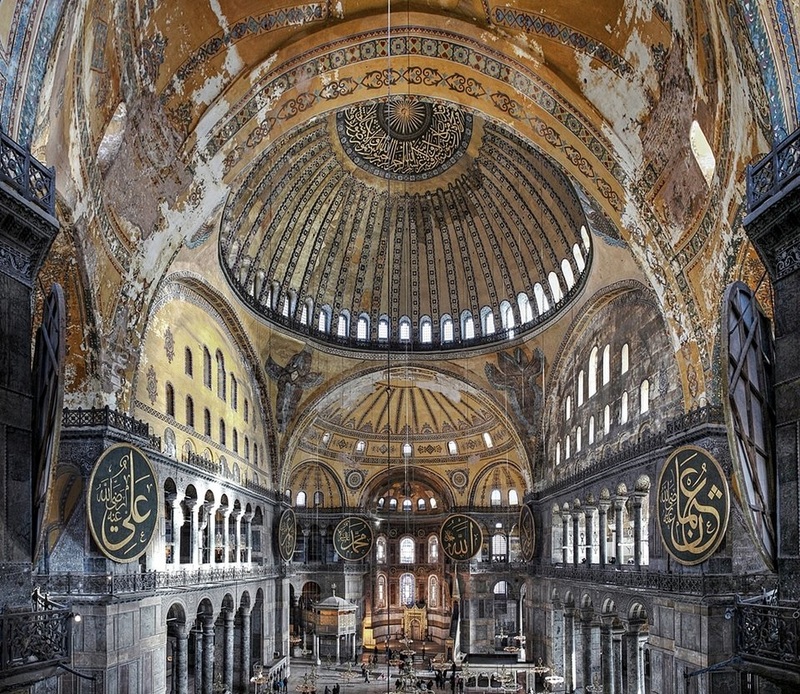 Hagia Sophia began as a church, later becoming a mosque, and today serves as a museum in Istanbul, Turkey. 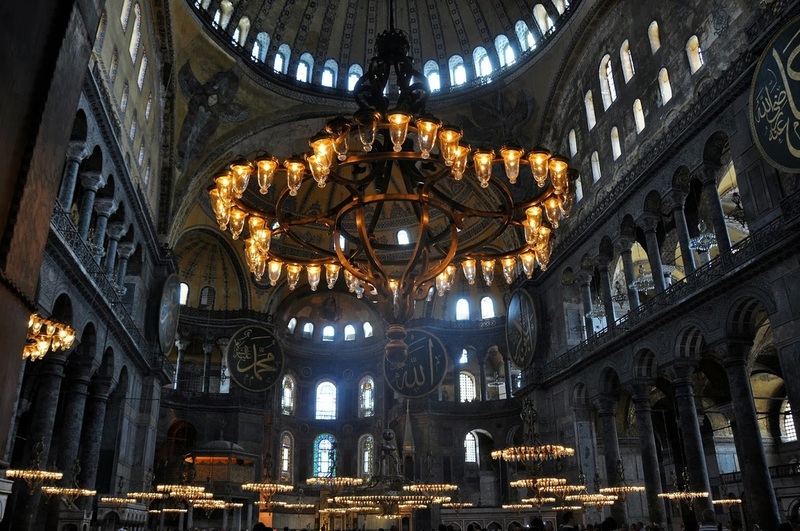 Hagia Sophia was designed with a very large dome, and is said to have changed the history of architecture. Until the Seville Cathedral was built in 1520, Hagia Sophia had been the largest cathedral in the world for almost 1000 years. 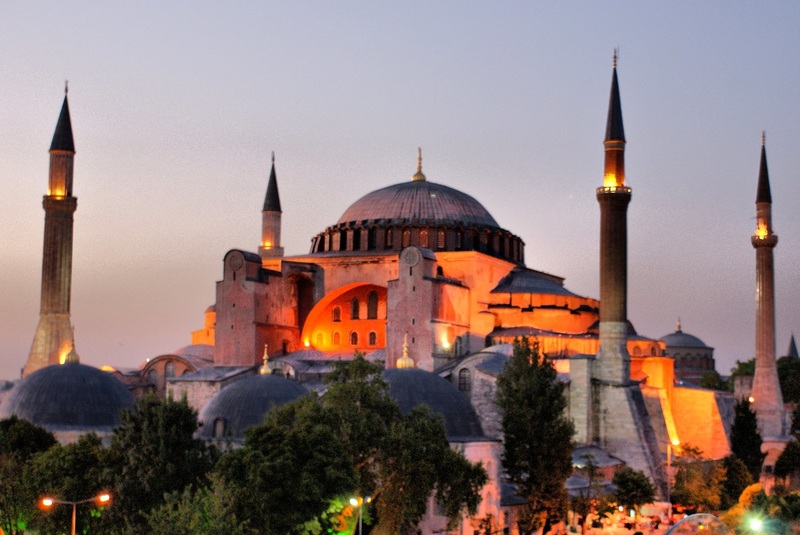 In 1931, after having been a mosque since 1453, Hagia Sophia was closed to the public. It remained closed for four years until the Republic of Turkey reopened it as a museum. 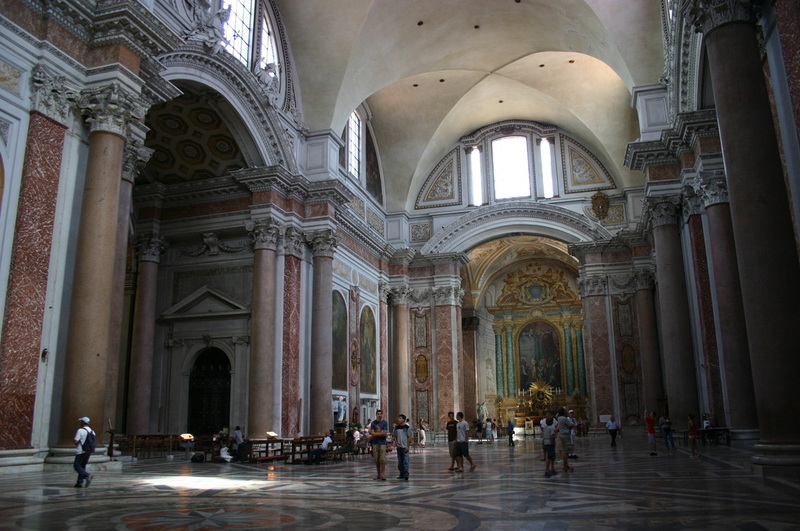 Inside are both Christian and Islamic features and objects. 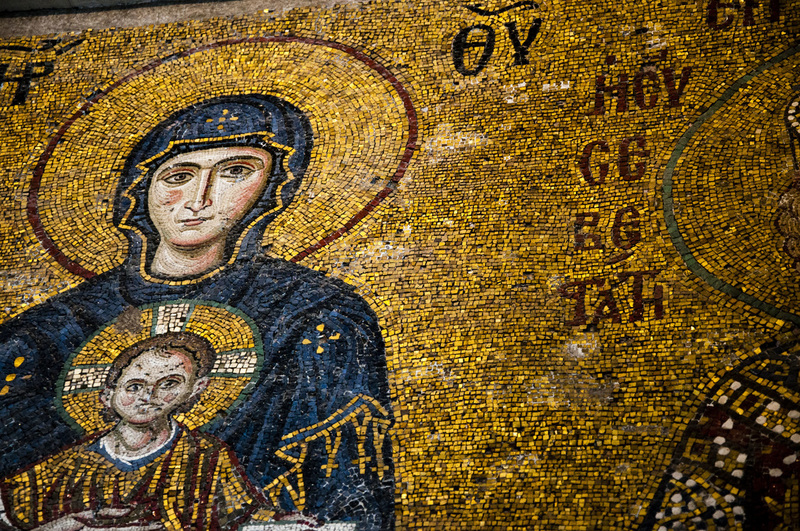 Hagia Sophia has been standing for over 1400 years! 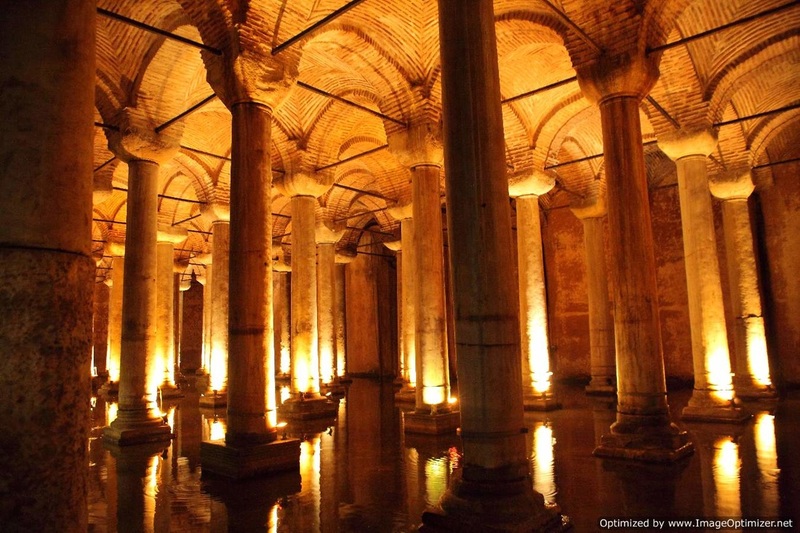 This subterranean structure was commissioned by Roman Emperor Justinian and built in 532. 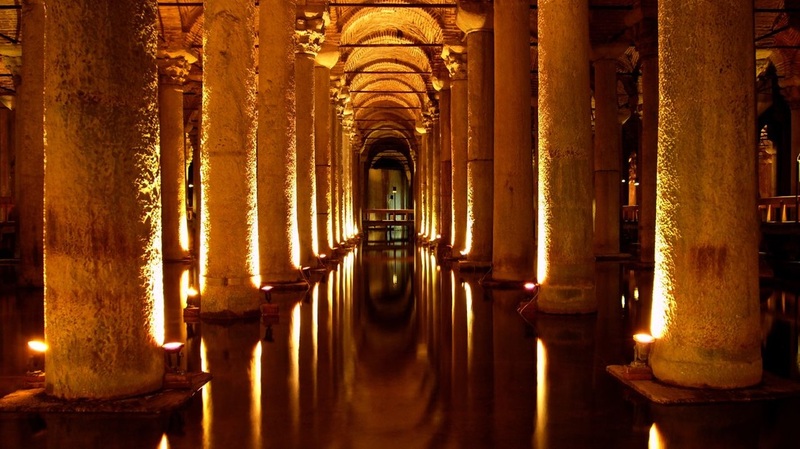 The largest surviving Byzantine cistern in İstanbul, it was constructed using 336 columns, many of which were salvaged from ruined temples and feature fine carved capitals. Its grandeur is breathtaking, and its cavernous depths make a great retreat on summer days. The two giant Gorgon-head pillar bases at the far end of the cistern are an intriguing mystery. 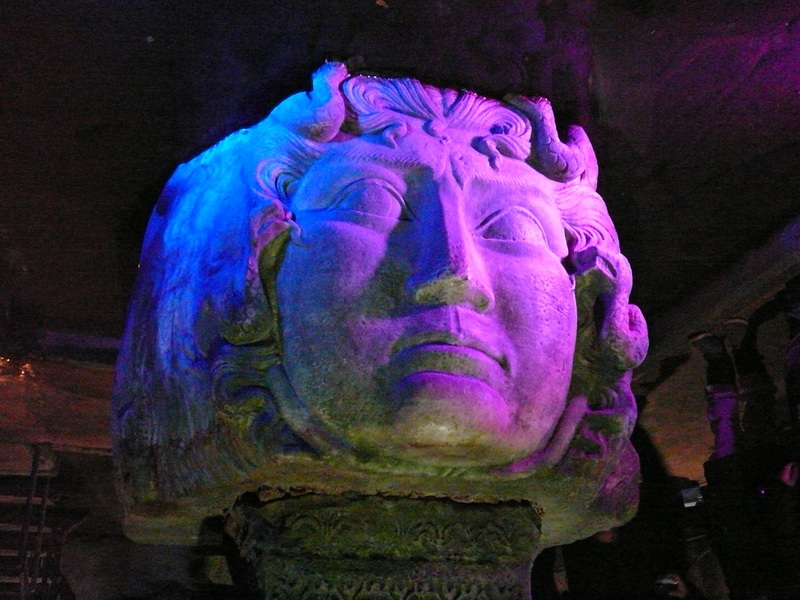 It is suspected that they may have been pulled out of an older pagan temple, where motifs of the famous Gorgon Medusa were used as a protective emblem. 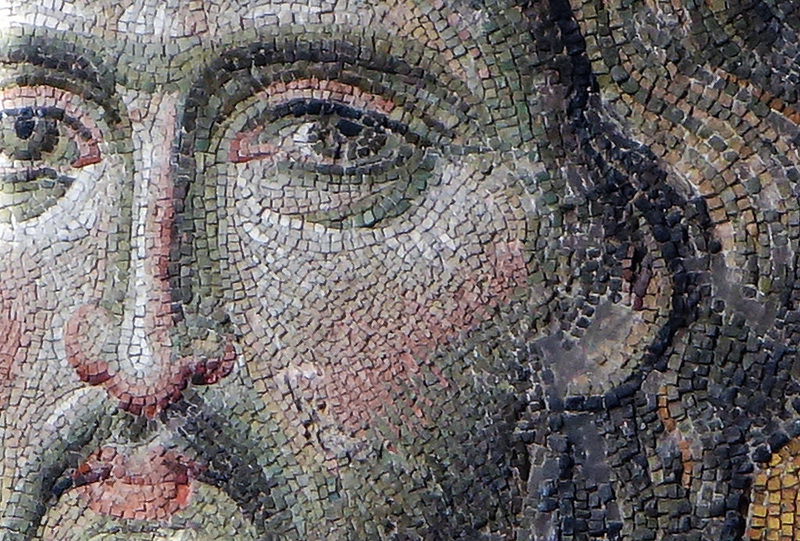 It is possible that the placement of these two faces — upside down and sideways, at the base of pillars — may have been a deliberate display of the power of the new Christian Empire. Or it's possible that the stones were just the right size. 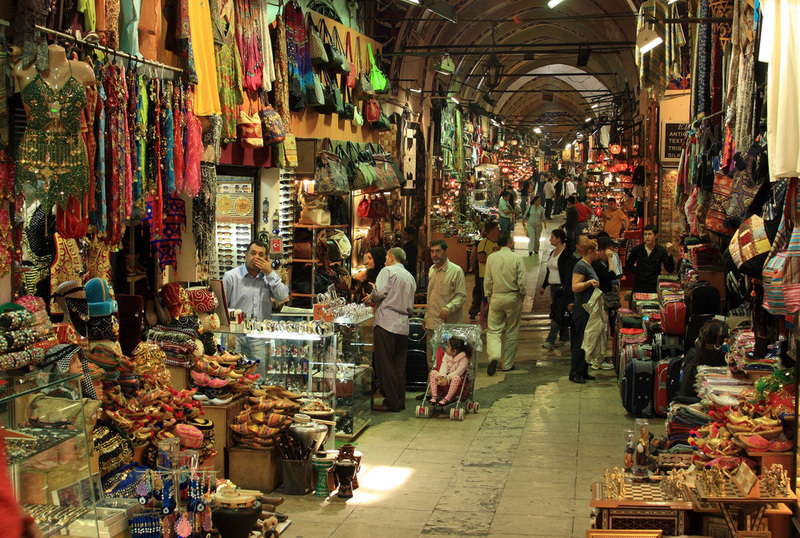 DAY 3: THE GRAND BAZAAR - The Grand Bazaar in Istanbul is one of the largest covered markets in the world with 60 streets and 5,000 shops, and attracts between 250,000 and 400,000 visitors daily. 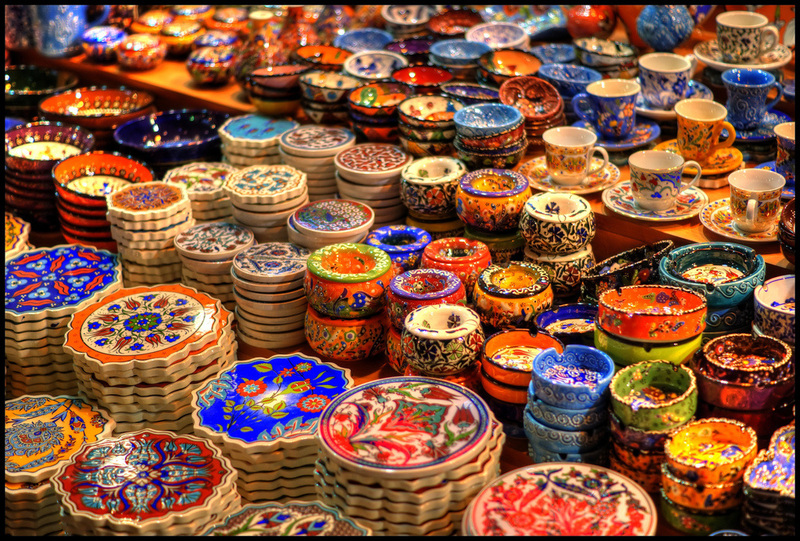 It is well known for its jewelry, hand-painted ceramics, carpets, embroideries, spices and antique shops. 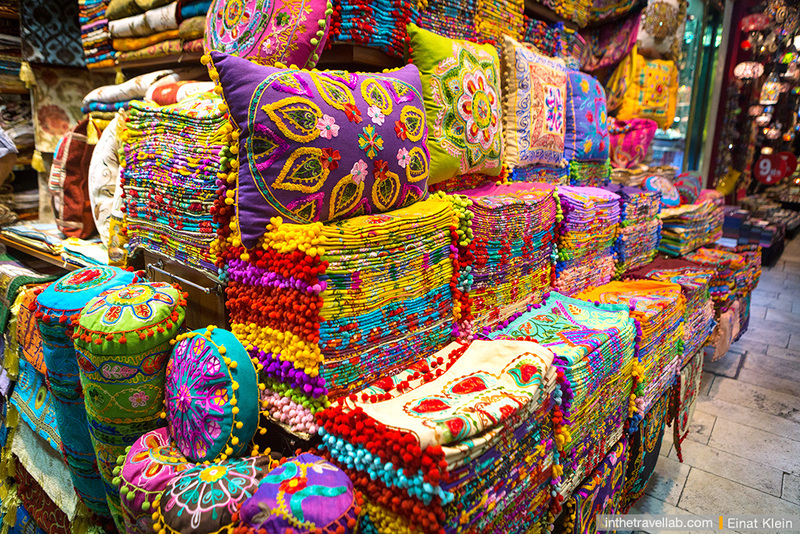 Many of the stalls in the bazaar are grouped by type of goods, with special areas for leather, gold jewelry and the like. DAY 4: THE HIPPODROME! 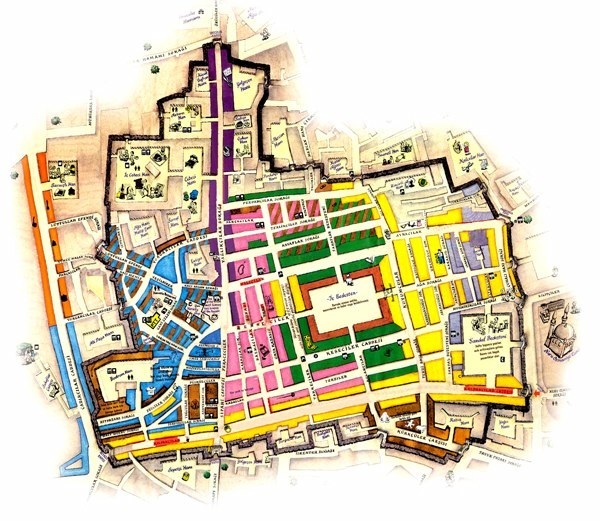 - was the largest hippodrome of the ancient world (and the largest stadium of all times) with a design that was conceptually based on the Circus Maximus in Rome which had a capacity of 250,000 spectators. It was here that chariot races using four horses were first used. Initially built at the time of Septimius Severus, it was later enlarged to surpass in grandeur the Colosseum and the Circus Maximus in Rome at the time of Constantine The Great, who moved the capital of the Roman Empire from Rome to Constantinople (Istanbul) in 330 AD. 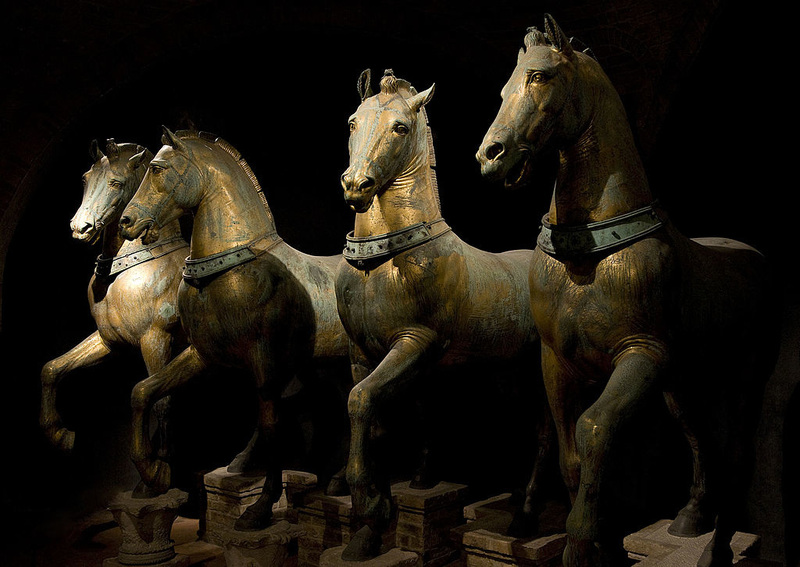 The four bronze horse statues which once stood at the top of the Hippodrome's ceremonial Entrance Gate are today standing at the top of the San Marco Church in Venice, Italy, and were taken there after the Fourth Crusade (1204). This engraving shows the ruins of the Hippodrome in 1580. About the only thing remaining today is the huge obelisk. Click HERE to see a parade of charioteers entering the hippodrome (from Ben Hur) --although not the Hippodrome in Istanbul (Constantinople), it gives a great idea of what it might have looked like. 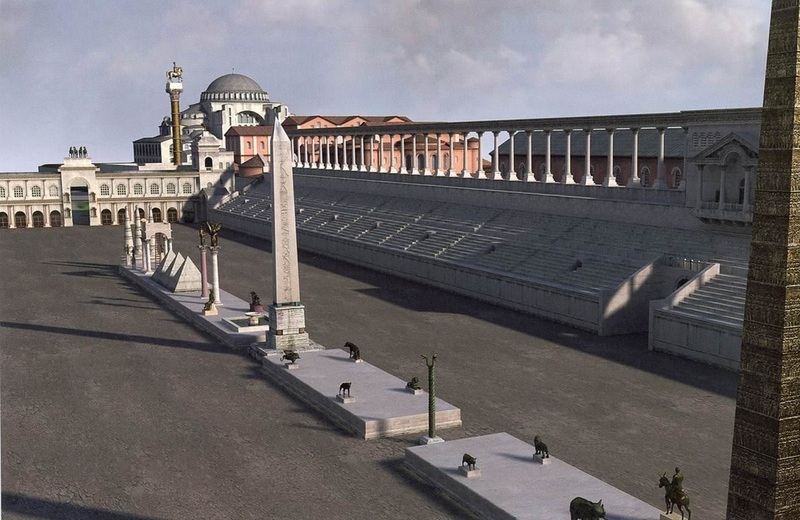 Remember the Hippodrome at Constantinople was the largest in the world! DAY 5: TURKISH BATHS - Historians don’t know exactly when people started to bathe indoors. But we do know that the Ottoman Turks inherited the Roman bath concept—architecture and tradition—as it existed in Asia Minor. Roman bath houses were elaborate and enormous. The first image of Diocletian's bath house in Rome --remember the Romans founded Constantinople as a Roman city --where Romans wanted the luxuries from home. 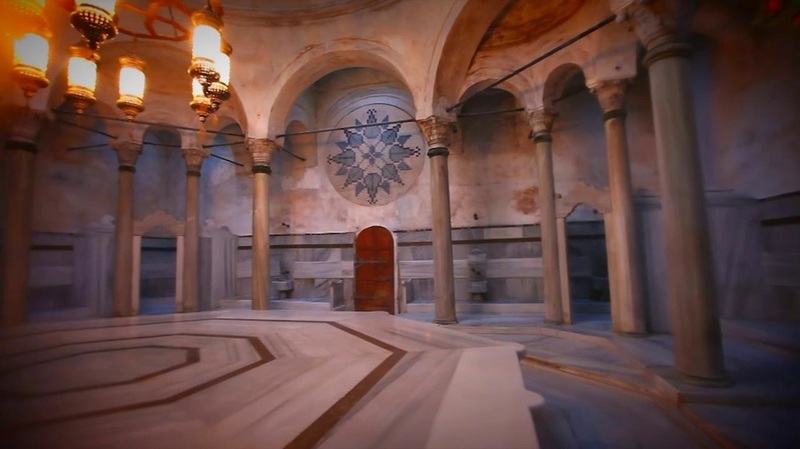 When Rome fell, the Turkish people adapted the bath to Turkish tastes, and called it “hammam.” Although modern Turks do most of their showering at home, the public hammam is still a major part of the culture, as much a place about cleansing as it is about relaxing. 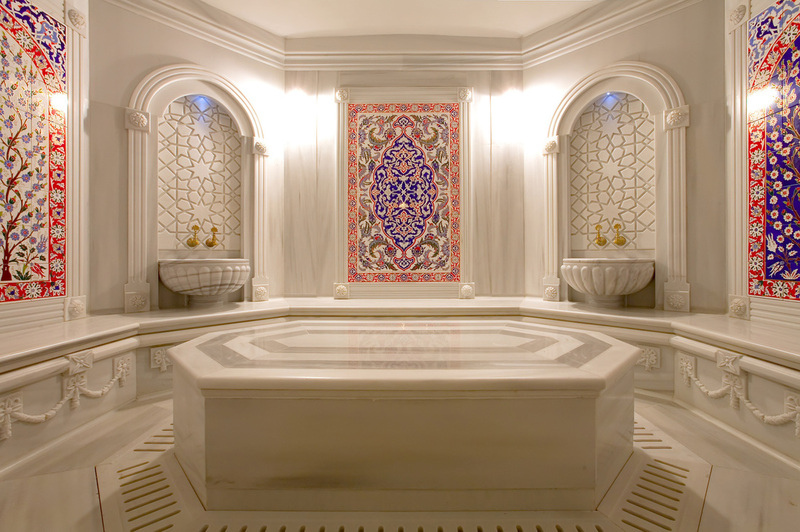 A traditional Turkish bath package includes 45 minutes of washing; traditional body scrubbing with handwoven wash cloth known as a kese; a foam wash; and a massage. 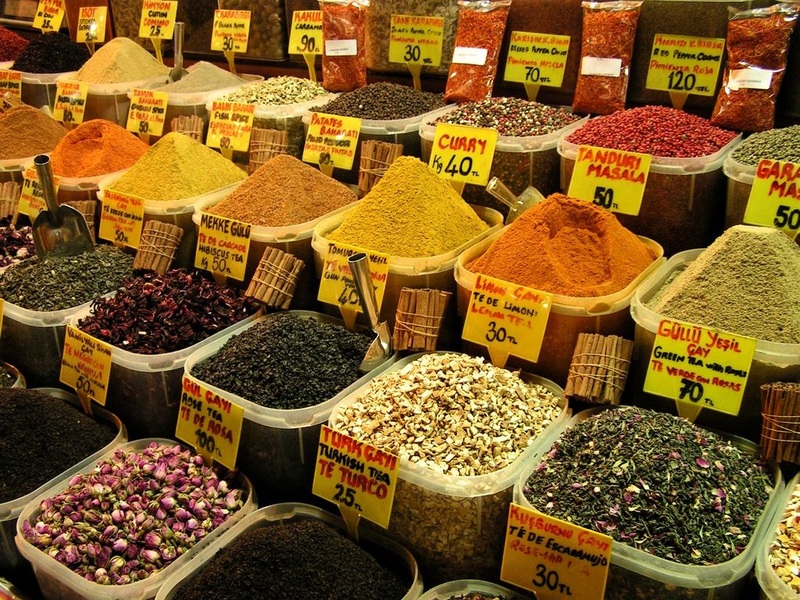 Back in the cold section, many hammams will serve visitors a glass of sherbet, Ottoman-style juice, or a cup of Turkish tea. The idea here is to spend a few minutes allowing your body to come back to its regular temperature. It’s also a time to tip your attendants, which is normal in the hamman.